The Exo Terra Compact Top is a compact fluorescent terrarium canopy designed for use with the Exo Terra Natural Terrariums. This easy-to-install canopy accommodates compact fluorescent bulbs or low wattage incandescent bulbs. 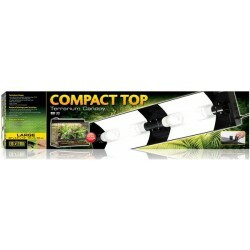 The Exo Terra Compact Top is a compact fluorescent terrarium canopy designed for use with the Exo Terra Natural Terrariums. This easy-to-install canopy accommodates compact fluorescent bulbs or low wattage incandescent bulbs. 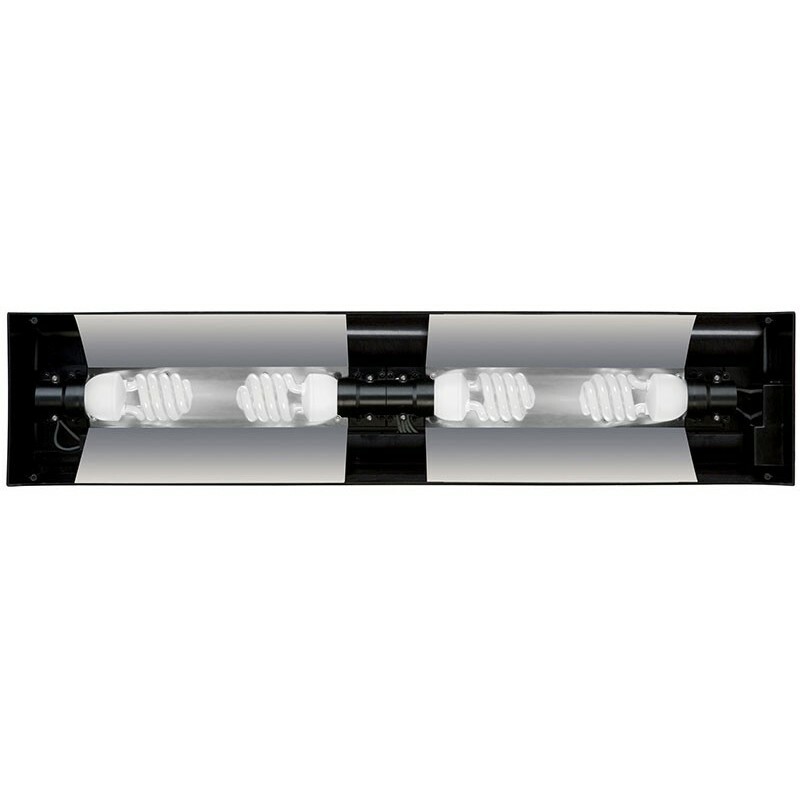 A combination of different compact fluorescent bulbs can be used to create the ideal ultraviolet/visual light ratio or a combination with an incandescent light source such as the Daytime Heat Lamp to increase the ambient air-temperature. 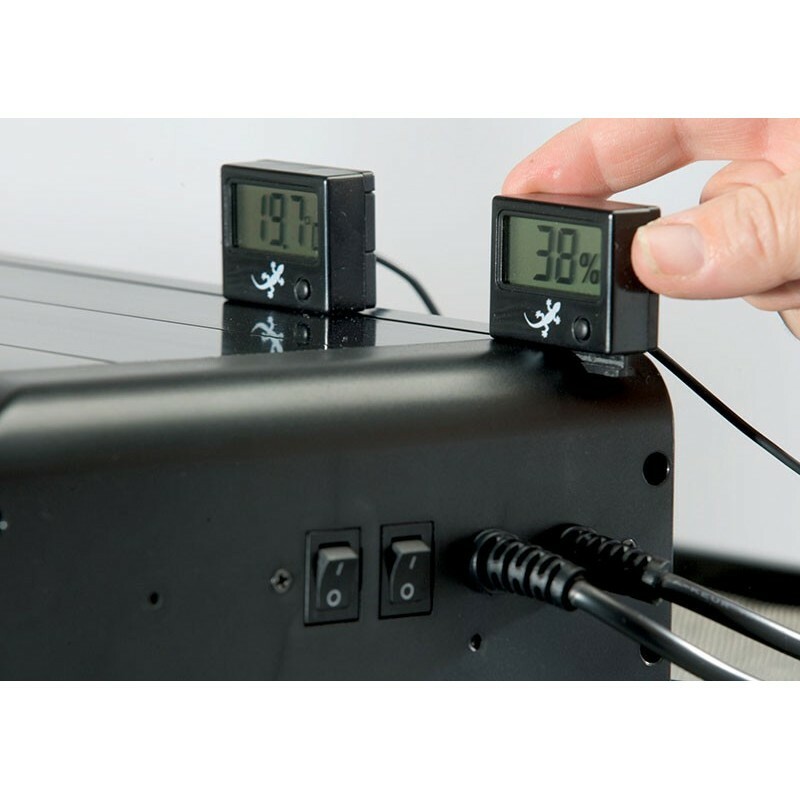 Optional accessories such as the Exo Terra Digital Thermometer and Hygrometer and the Exo Terra Thermo-Hygro can be slid into the special sliding rim on the top of the canopy.